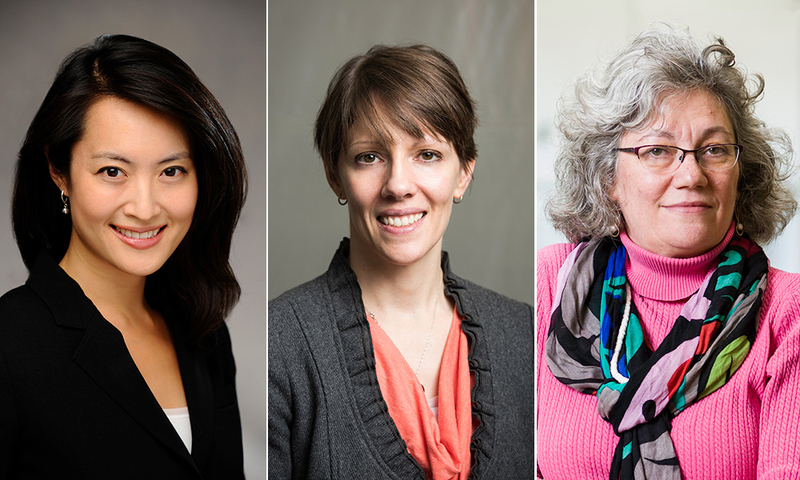 Three biomedical engineering faculty members at the University of Rochester–Danielle Benoit, Catherine Kuo, and Amy Lerner–have been inducted as fellows of the American Institute for Medical and Biological Engineering (AIMBE). Members of AIMBE are employed in academia, industry, clinical practice, and government. AIMBE’s College of Fellows is comprised of the top two percent of medical and biological engineers. A total of 156 fellows–chosen for outstanding contributions in research, practice, or education–were formally inducted at the AIMBE annual meeting in Washington, D.C., on March 25. A member of the faculty since 2010, Benoit develops therapeutic biomaterials for tissue regeneration and the targeted delivery of therapeutic drugs. For example, she and her collaborators developed a device that selectively delivers drugs to sites of bone resorption to heal fractures and treat osteoporosis. She has also pioneered the development of hydrogel-based engineered extracellular matrices for bone and salivary gland tissue regeneration. Kuo joined the Rochester faculty in 2015 and directs a multidisciplinary research team in developing novel strategies to regenerate adult tissues from stem cells inspired by embryonic development. 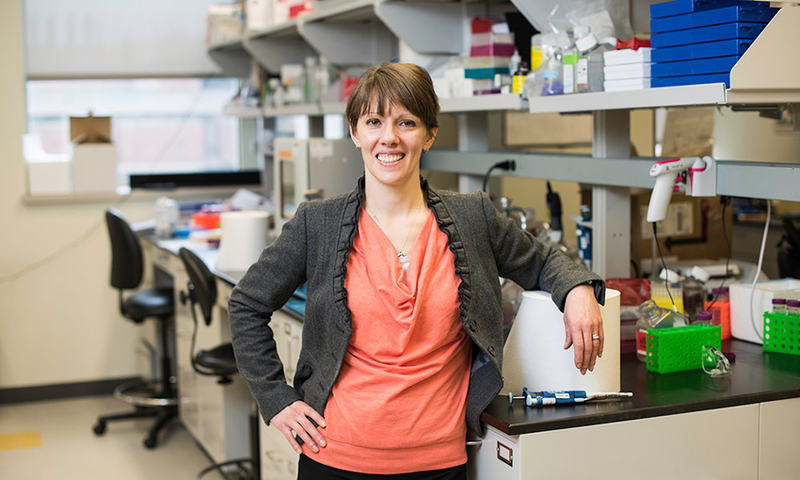 She and her students have discovered that adult stem cells behave like embryonic cells when cultured in biomaterials that are engineered to mimic embryonic tissue. These adult stem cell-regenerated tissues can then be implanted in the body to replace diseased or injured tissues that have limited capacity to heal. They have also discovered how embryo movements, like kicking, directly regulate the development of musculoskeletal tissues. These studies have led to the discovery of therapeutic molecules that can be used with physical rehabilitation to promote healing of adult musculoskeletal tissues, such as tendons, after injury. Lerner was a soft goods design engineer for ILC Dover’s program that made Shuttle space suits for NASA before joining the University in 1997. Her research has focused on gender and ethnic differences in anatomy, the role of the meniscus in pressure distributions, and the effects of obesity on risks for knee osteoarthritis. She is academic director of the Center for Medical Technology and Innovation, a Department of Biomedical Engineering master’s program in medical device design that partners students with clinicians at the Medical Center. 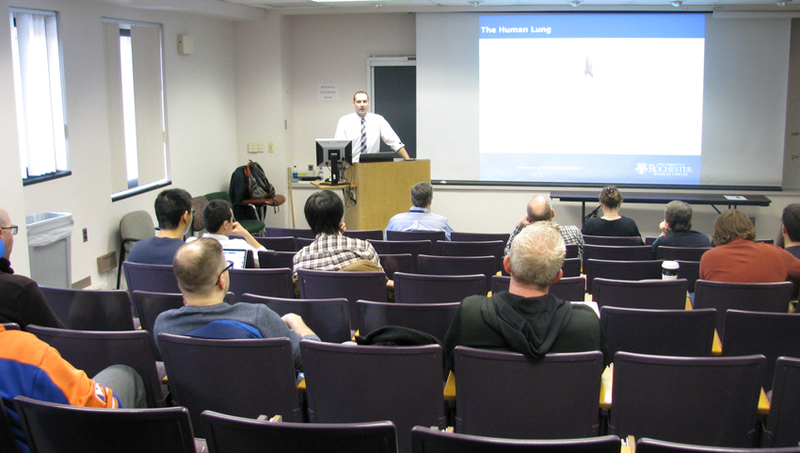 Lerner also directs the department’s senior design program, which engages teams of students in “real-world projects” for companies, community agencies and Medical Center clinicians. Lerner also co-chairs the University’s Commission on Women and Gender Equity in Academia, which received a 2018 Presidential Diversity Award for its work to improve diversity and inclusion. Lerner received the University’s Georgen Award for Excellence in Undergraduate Teaching in 2016.